Hire a private driver and car and explore the island of Sri Lanka over the course of eight days. 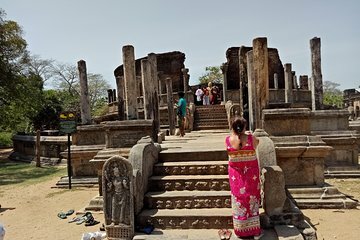 Explore a multitude of cities including Anuradhapura, Polonnaruwa, Kandy, and Udawalawe and see the main highlights with your driver-guide on sightseeing tours. This excursion covers 14 days worth of sightseeing in just eight days, perfect for those who are short on time and want to cover as much as possible.